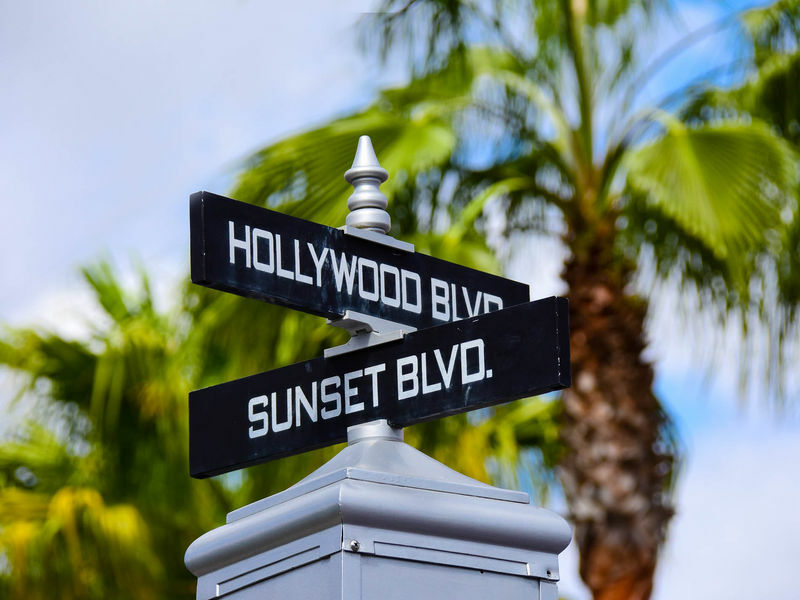 Sunset Boulevard is just a street like any other you might find in the area of Hollywood. It has stores, and food, and a haunted hotel, and a stretch limo that goes upside down. Well, ok, it may not be exactly like a street in Los Angeles. Sunset Boulevard was an early expansion of the park to help with crowd control. Early on it didn't have a whole lot to recommend it with just some shops and counter service dining locations and providing a new route of access to the Theater of the Stars where Beauty on the Beast - Live on Stage is performed. But with the additions of Rock 'n' Roller Coaster and Twilight Zone Tower of Terror this little street has become the center of attention for thrill seakers at Walt Disney World. Location: Make a sharp right turn at the end of Hollywood Boulevard. Beverly Sunset Fantasmic and Disney villain merchandise. Legends of Hollywood Winnie-the-Pooh clothing and toys. Planet Hollywood Super Store Collectibles and merchandise related to celebrities and pop culture institutions. Rock Around the Shop Gift store for Rock 'n' Roller Coaster with attraction merchandise as well as Aerosmith and general rock and roll stuff. 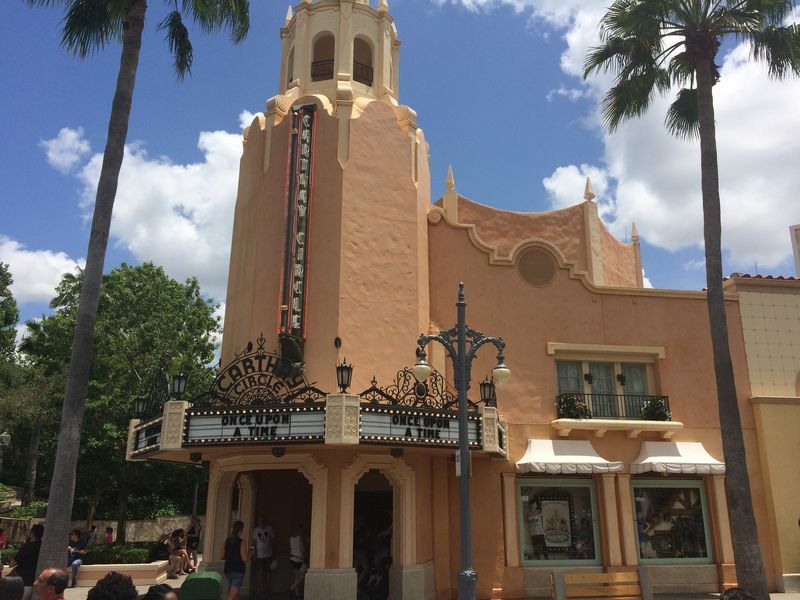 Tower Shops Gift store for Twilight Zone Tower of Terror with themed merchandise.